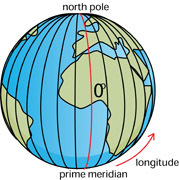 * Drawing > Latitude, then Longitude, & Latitude and Longitude Story. 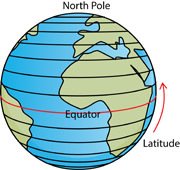 * International Date Line A new day begins at the International Date Line (180˚ longitude). 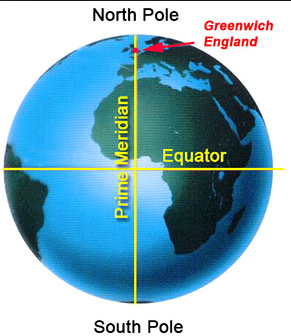 * The world is divided into 24 time zones, each is 15˚ of longitude wide (360˚ divided by 24 hours in a day). * Countries of the World -US State Dept.